Today has been another exciting day on the road. I had breakfast in Wisconsin, lunch in Minnesota and dinner in South Dakota. I crossed over the Mighty Mississippi and I’m about to bed down beside the Missouri river. Today we are going to practice the Matangi Mudra. I have chosen this mudra today to bring harmony and balance to your solar plexus. When travelling it is challenging to find the foods that normally keeps your tummy happy! This mudra will help calm any inner tension in your stomach from foods that you may not normally eat but have to resort to on the road. 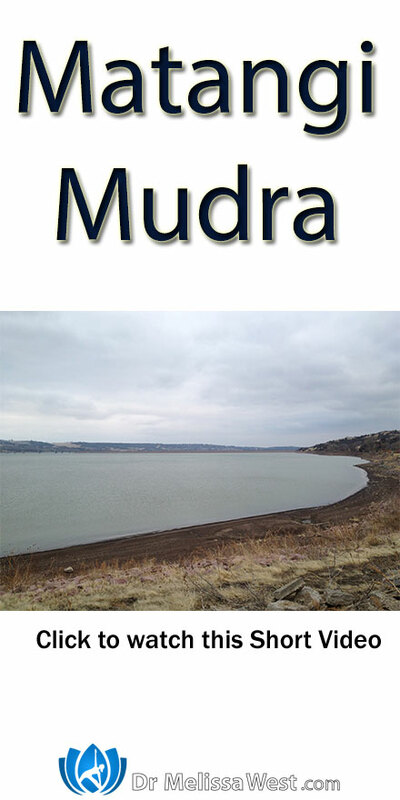 Practice this mudra for four minutes and you will find it eases your stomach upset. Thank you so much for all your comments and good wishes as we travel across the country towards our new home in British Columbia. We can feel all your love and support every mile we travel west on the highway.